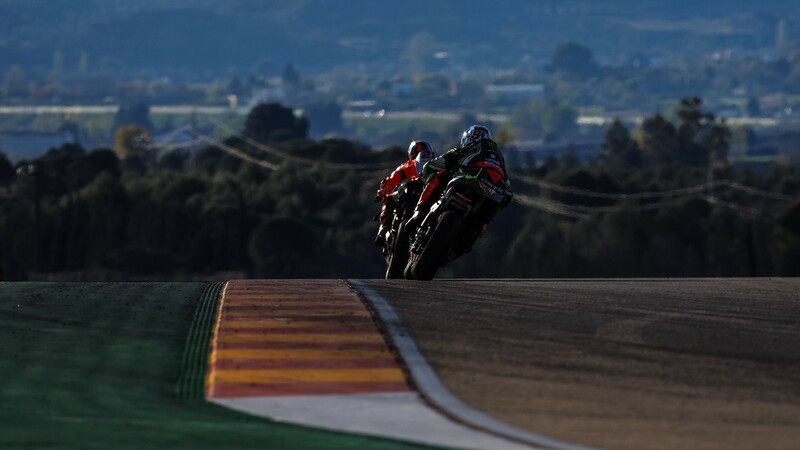 Championship leader becomes first Spaniard in WorldSBK history to take pole position at home! 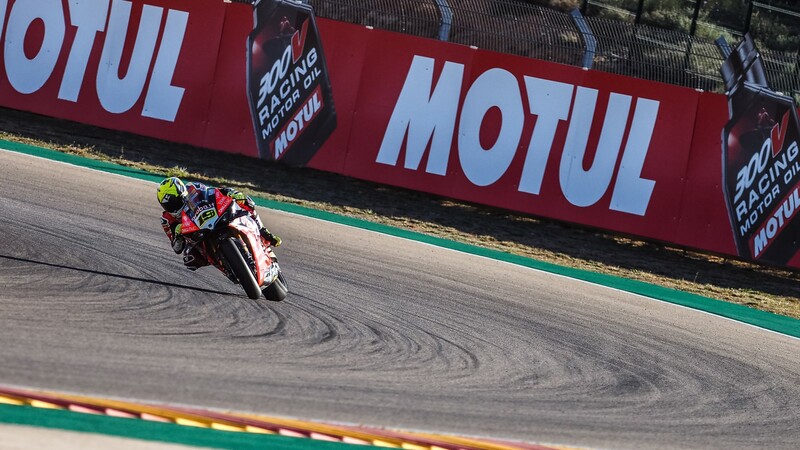 The first European Tissot Superpole session of the 2019 MOTUL FIM Superbike World Championship at the Motocard Aragon Round was a thriller, with Alvaro Bautista (ARUBA.IT Racing – Ducati) taking a second consecutive pole position in his Rookie year in WorldSBK. The Spaniard put in a blistering performance to set a new lap record of 1’49.049. Bautista went about his work in a precise manner, setting a quick lap straight away before continuing with consistent times. The Spaniard then pitted and swapped to the Tissot Superpole tyre and obliterated the lap record, putting himself as firm favourite ahead of Race 1. Teammate Chaz Davies had a good session and was eighth at the chequered flag, 0.921s off his teammate but the last Ducati on the grid. It was a stellar Tissot Superpole session from German rider Sandro Cortese (GRT Yamaha WorldSBK), who put the Yamaha YZF R1 on the front row of the grid in second position. Having a fairly quiet weekend until the Tissot Superpole session, the German rider is the first German to qualify on the front row since Max Neukirchner started fourth at Monza in 2009! His teammate however did not enjoy the Tissot Superpole session, as Marco Melandri suffered a crash at Turn 2. Melandri will start the race from 13th. 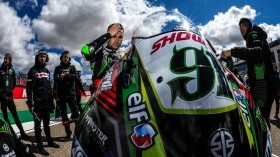 Tom Sykes (BMW Motorrad WorldSBK Team) completed the front row to make it three manufacturers across the front row at MotorLand Aragon, the first time since 2015 that this has happened. Continuing on from an impressive Free Practice pace, the 2013 World Champion was able to give BMW their first front row start of the 2019 season and their first at MotorLand Aragon since Chaz Davies was 3rd in 2013 – Davies went on to win two races that weekend! 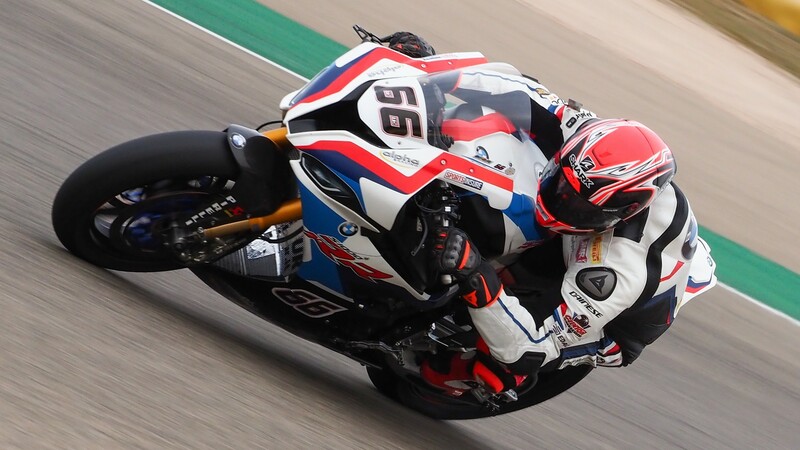 Teammate Markus Reiterberger consolidated the gains BMW have made to their S1000RR by finishing 7th. 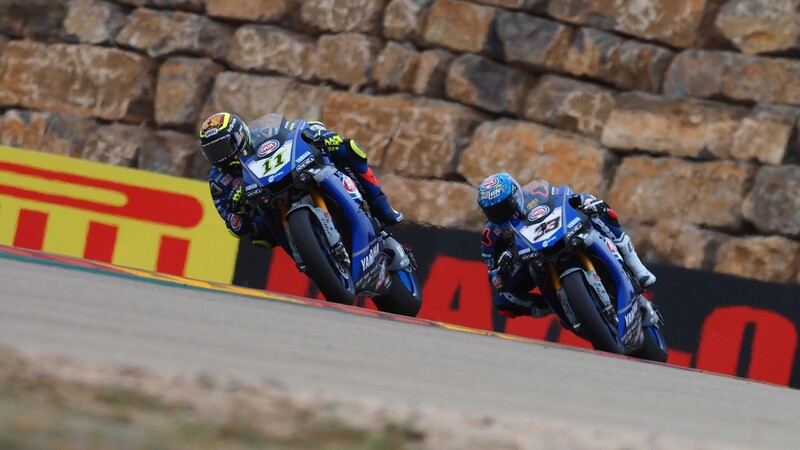 Row two saw Alex Lowes (Pata Yamaha WorldSBK Team) finish just 0.006s behind Tom Sykes to miss out on the front row at MotorLand Aragon. Behind him on the second row are two very fast Independent team riders: Michael Ruben Rinaldi (BARNI Racing Team) and Eugene Laverty (Team Goeleven). Rinaldi put in a lap to confirm his best Tissot Superpole starting position, whilst Eugene Laverty made rapid gains to start from row two for the first time in 2019. 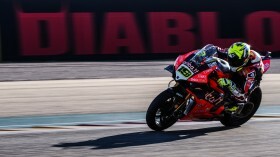 With Markus Reiterberger (BMW Motorrad WorldSBK Team) heading up the third row in seventh position and Chaz Davies in eight place, it was time for the first Kawasaki appearance on the grid. However, it wasn’t the most expectant of riders, as Jordi Torres (Team Pedercini Racing) was able to give the home fans even more to cheer about, with a ninth place start and to finish as top Kawasaki and ahead of the reigning four-time WorldSBK champion, Jonathan Rea, who was shuffled back to tenth place when the Tissot Superpole tyres were put on. Bautista’s pole position makes him the first Spaniard in the history of WorldSBK to take a pole position at home! It is also the first time in eight years that a Spanish rider has achieved back-to-back poles, with Carlos Checa at the start of the 2011 season – also for Ducati. Watch an exciting WorldSBK weekend at MotorLand Aragon unfold with the WorldSBK VideoPass! Top six after Tissot Superpole – view full results here!